Marc Ullman is a Partner and leader of the firm's New York office. 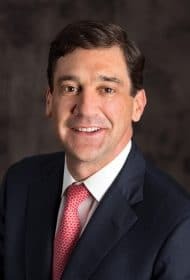 With over 20 years of executive compensation consulting experience, Marc has established many long-standing client relationships as a trusted advisor to both boards and management teams. Marc consults with large and small, publicly held and privately owned organizations, and has experience in various industries, including consumer products, financial services, insurance, manufacturing, media, professional services, REITs, retail, technology software & hardware and telecommunications. Marc consults in the areas of executive new hires and terminations, shareholder engagement, share reserve requests, transaction-related compensation programs, such as in initial public offerings, M&A and spin-offs, as well as in all phases of the ongoing annual executive compensation cycle, including: competitive pay analyses, annual and long-term incentive plan review, design and implementation, incentive plan metrics selection and performance target and range setting, pay-and-performance alignment analysis, compensation risk assessments, board of directors' compensation, and assistance with proxy disclosure drafting and shareholder communication. Marc has been a frequent speaker and writer on executive compensation topics for Corporate Board Member, Conference Board, Equilar, WorldatWork, NYSE and NASDAQ.